Matías Vecino Falero is a Uruguayan professional footballer who plays as a midfielder for Italian club Inter Milan and Uruguayan national team. He is popularly known as Matias Vecion. Vecino started his professional career with Central Español in 2010, and switched to Nacional for the 2011–12 seasons. In January 2013, Vecino joined Serie A side Fiorentina. From 2013 to 2017 he played 67 games and scored only 5 goals for Fiorentina. While he was in Fiorentina he joined Cagliari on 2014 a loan and played 9 games and scored 2 goals. Later again he joined Empoli on loan on 2014/2015 season he played 36 games for Empoli and scored only 2 goals. On 31 July 2017, Vecino joined Inter Milan. He scored 3 goals on making 29 appearances for Inter Milan on 2017/2018 season. 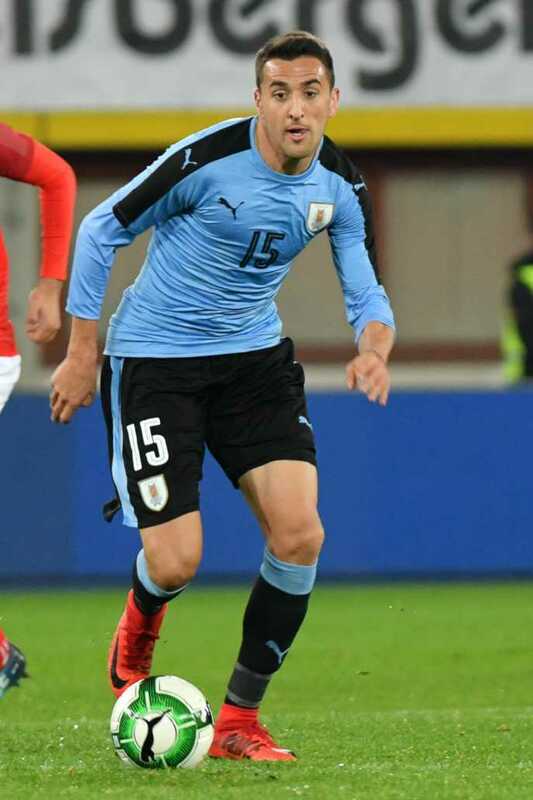 Vecino was born in Uruguay so he was eligible to the national teams. Vecino has been capped by the Uruguay national under-20 football team for the 2011 South American Youth Championship and for the 2011 FIFA U-20 World Cup. He scored the goal to qualify Uruguay for the 2012 Olympic Games in London. He made his debut for the Uruguay senior team on 25 March 2016 against Brazil. On Going World Cup 2018 Vecino made his debut game against Egypt on June 15 2018.He played against Saudi Arabia and Russia on the group stages. Uruguay finished the group stage staying on the top. They qualified for Round 16 and won against Portugal on Round 16 on June 30. Uruguay had reached the quarter finals and they are facing against France on July 6. Matias Vecino has not yet revealed anything related to his relationship. He seems to be protective regarding his personal life; there is no any speculation of him having a girlfriend or wife. Maybe he is single.